Roadside plastic bags, readily throw cans, cigarette boxes …… we always roadway in the corner, not to see these clean up garbage. More surprising is that they can be experienced, motionless. British anti actors Forest of Dean, in a clean-up A48 Highway found 33 years ago, the production of bags of potato chips, potato chips, although long been eaten, but left the bags also like just produced the same. That is, these bags have to be about 1716 weeks old, and not rot. Different varieties of garbage, degradation in nature, the time required is not the same, with one kind of waste degradation time required, but also by the ambient temperature, humidity, acidity and amount of influence. Nevertheless, self-degradable garbage time is amazing, and some even require generations. This means that you are free to discard trash today, it will likely affect the living environment for future generations. 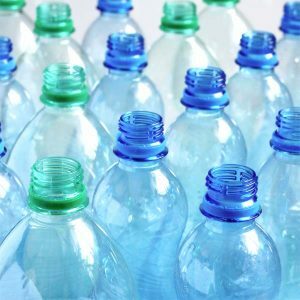 Many plastic bottles made of polyethylene terephthalate (PET) made these petrochemicals difficult to biodegrade in the natural state degrades over time even up to 500 years. National Engineering Research Center Engineering Plastics primary Renji Jun Hui said plastic waste degradation time from several years to several hundred dollars, the most recalcitrant of polyethylene degradation in the environment needs more than a century, the general hydrolysis and microbial degradation are not it. Aluminum beverage cans may be required degradation time 200 years or so; automobile tires, sport shoes, foam cups, leather products, such as the degradation of the time, compared with about 50 years; chemically treated leather and even longer exist. In addition, the degradation time is not short of textiles. In all fabric, cotton is the most easily biodegradable, it may take six months; heavy wool coats and other clothes you need five years; and tights, carpets, disposable diapers and other nylon products may take 30 to 40 years . In this regard, the comprehensive utilization of waste textile industry technology innovation strategic alliance Gu Mingming Deputy Secretary-General said that textile components are not the same, there will be differences in degradation time, natural fibers are more susceptible to degradation, synthetic clothing category difficult to degrade.